FACT: Radiation is released by mobile phones, computers, tablets, wifi cameras, camcorders and any other wireless devices. Which many believe affects the function of our central nervous systems, our thoughts and our overall vibration. The planet is bombarded with invisible wireless frequency hazards no matter where on the planet you are. These frequencies can influence how you think and feel. The planet is addicted to wireless technology and there is a negative side effect to all of this. Evidence shows that just a few minutes of mobile use begins to heat brain tissue and affect the cells. 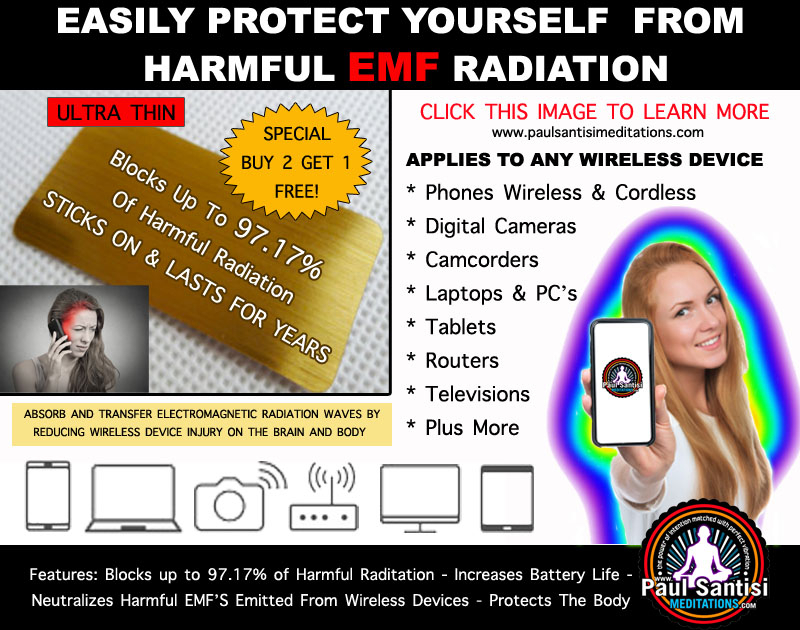 Many have issued warnings urging children under 16 not to use mobile devices even though it is universally accepted that electromagneticradiations emitted from mobile phones is bound to affect our health and well being. We are subjecting ourselves and our loved ones to this external stress and harmful EMF day in and day out. Just because we can't see radiation, doesn't mean it is not there effecting us in a negative way. Fortunately there is a solution, using this Anti Radiation sticker on a mobile phones or wireless device, neutralizes harmful EMF radiation emitted from mobiles without affecting in any way the functioning of the mobile phone or device. 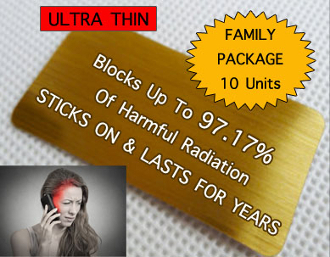 This effective Anti-Radiation EMF protector acts as a barrier between your mobile phone or device and your brain to absorb up to 97.17% of the radiation emitted. It is tested and proven to reduce harmful EMF’S and to harmonize EMF emitted from mobile phones as well as other electronics such as Laptops, Computers, Cordless Phones and all wireless devices. These EMF stickers will outlast your mobile device. Simply stick on your device and protect yourself. You will feel the protection the moment you begin to use it. Note: This is not a medical device. We STRONGLY recommend you to seek medical help for any medical problem. UNITS ARE IN AND READY TO SHIP ASAP! See specials for those of you who need more than one.